Everybody already knows of my undying love for Jacob Black. 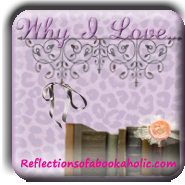 So this week I want to spotlight a new book boyfriend who has recently stolen my heart. Four from Divergent was everything and I totally can’t wait to hook up with him again in Insurgent. I actually did a book boyfriend post on him a few weeks ago so I’ll pull info from that post so you can get to know Four and all the reasons I love him…I’m thinking a character profile is in order in the future. His straight eyebrows are drawn low over his eyes. My stomach writhes, partly because I know he makes a good point but I don’t want to admit it, and partly because I want to press against the space between us until it disappears. I love Four! And I can totally see this guy as the leader of Dauntless. Now I’ll probably be seeing his face when I’m reading book 2. LOL, sorry if I messed up your own personal visual. But I had to put a face to him for the MBB meme and this guy came closest to the boy in my head. Four does make me swoon and I see he has another fan! I love this post Jade. I think Four is a fantastic choice and I love your pick for him. Thanks my dear. Four was a book boyfriend dream. Oh yes you do! I think you’ll love it.